At left is a photo of the fire-ravaged St. Pius Tenth Church on Jan. 2, 2015, and at right is a photo of the new church taken just before the dedication Mass on March 19, 2018. I remember waking up Jan 2, 2015, to the news of the fire at St. Pius Tenth Church in Chili. Growing up in nearby Gates, I attended many Masses at St. Pius, including my little cousin’s baptism, and I knew many friends who were parishioners. So I was completely devastated when I drove by that day to see the burned book racks and Christmas wreaths outside the entrance to the church, the windows and doors boarded up, and the burned roof. Since that day, I have attended daily Mass in St. Pius’ parish center and consider the parish to be my second church home. 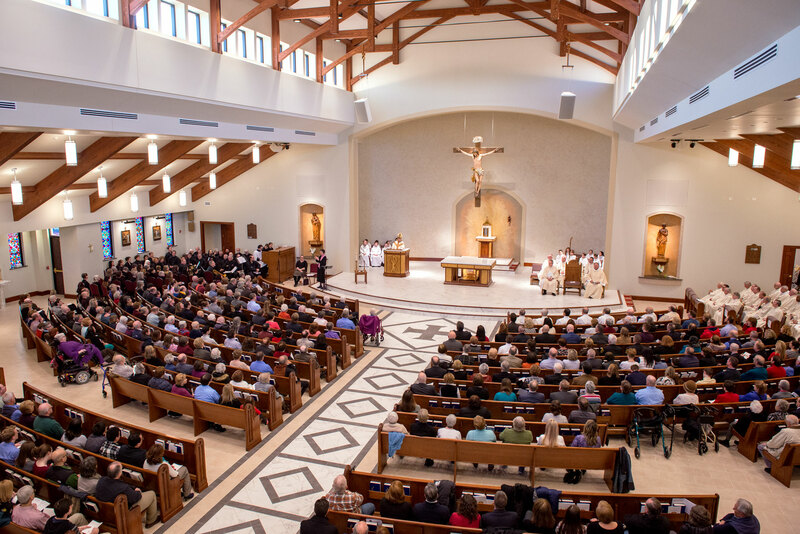 I enjoyed walking into the parish center each morning, seeing the progress on the new church’s construction next door and, like the parishioners, longed for the day when I’d be able to attend Mass in the new building. So when I walked into St. Pius March 19 for the dedication of the new worship space, I was captivated by the immense beauty of the new church, from the stunning crucifix above the altar to the beautiful tabernacle, stained glass windows from Sacred Heart Cathedral and the Stations of the Cross donated by St. Vincent DePaul Church in Corning. I was awed to see that through prayers, hard work and dedication, this church now stands on the site just three years since that tragic day in 2015. In just a few days, we will celebrate Easter, a time of rebirth and rising from the ashes. 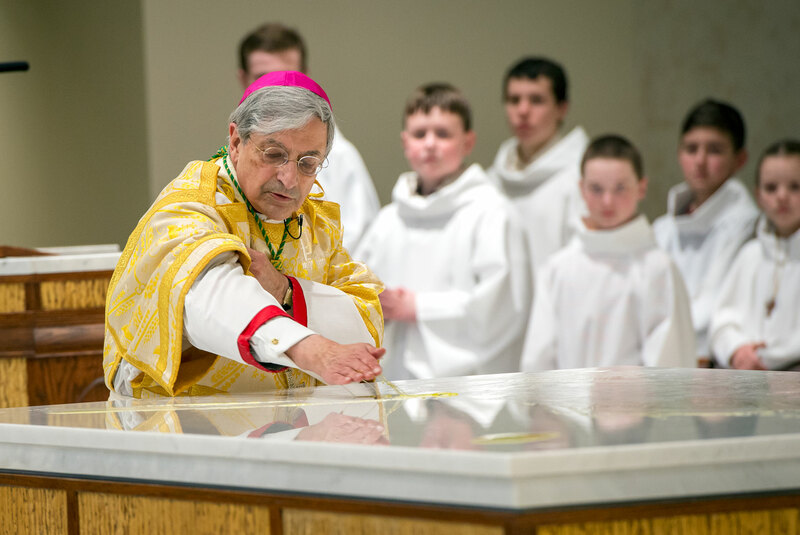 What an Easter celebration for the St. Pius the Tenth community, which has risen from the ashes of the fire and now celebrates the future inside this new sacred space. 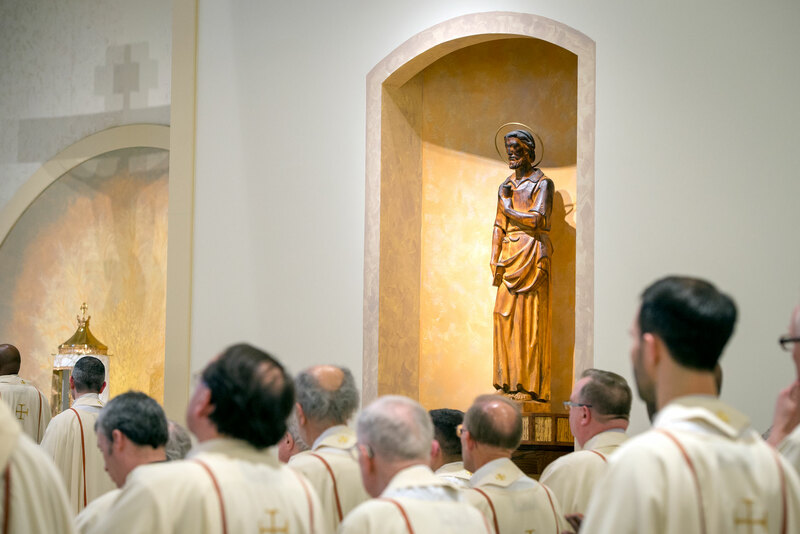 I encouraged everyone to visit the newest worship space in our diocese!